The tiny piglet was barely holding onto life. She was sick, skinny and her foot was badly injured. If she was going to live, she needed help soon. 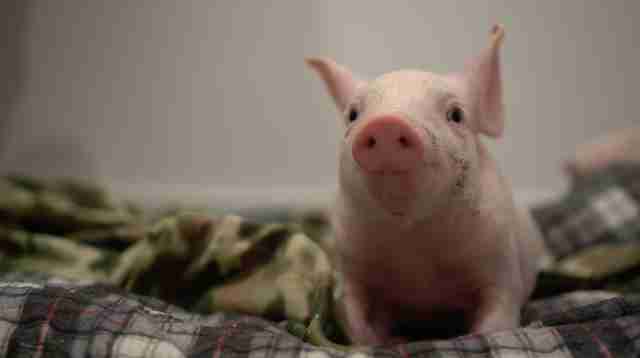 Wayne Hsiung saw the piglet when he arrived at the factory farm in Utah. He’d heard that the farm had reportedly abandoned its gestation crates, tiny cages that imprison pregnant and nursing mother pigs between metal bars. But sure enough, the cages were still there. As Hsiung and his colleagues suspected, the farm was still keeping pigs in horrible conditions. 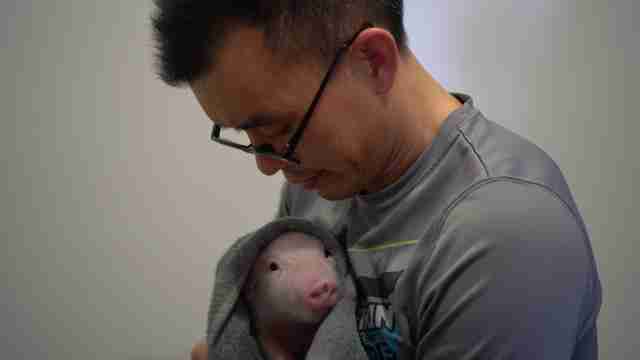 Then Hsiung caught sight of the sick, skinny piglet, whom he named Lily. Lily was about 15 to 20 days old, and she only weighed about 4 pounds. But Hsiung was most concerned with Lily’s foot. Hsiung suspects that Lily’s foot got caught in the grates of the farrowing crates, although he doesn’t know for sure. Hsiung knew he had to help Lily, so he bent down and picked her up. 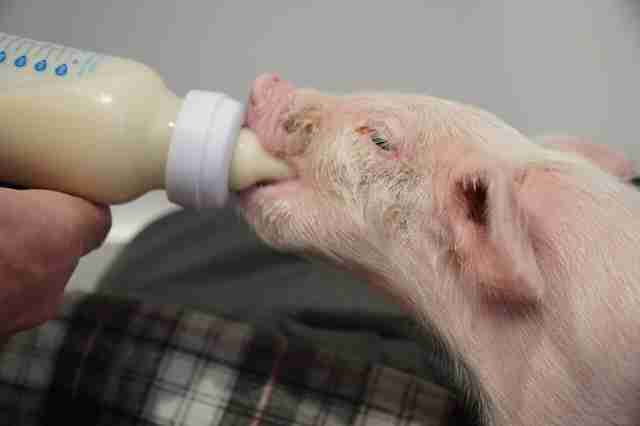 Hsiung believes that Lily knew he was there to help her, because the piglet quickly settled down. 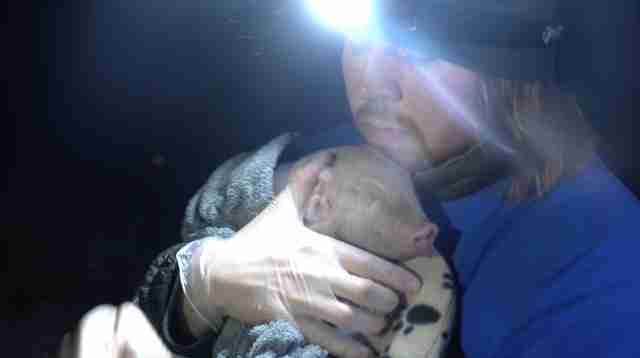 Besides Lily, Hsiung and his colleagues rescued another distressed piglet, whom they named Lizzie. 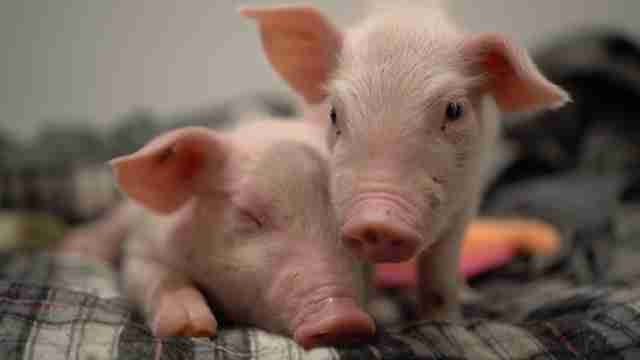 “Lizzie was also extremely small — perhaps about half the size of the other piglets,” Hsiung said. As soon as Lily and Lizzie were safely out of the farm, Hsiung took them to the vet, where they were treated for dehydration and given antibiotics and other medications. “It was honestly extremely dicey the first couple of days,” Hsiung said. But over the next few days, the piglets got healthier and stronger. And Lily started to walk. 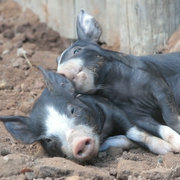 Lily and Lizzie now reside at a farm sanctuary, and they’re quickly growing up. “I think that [Lily’s] 150 pounds, which is still about one-fourth of adult size, but she’s still just a kid,” Hsiung said.